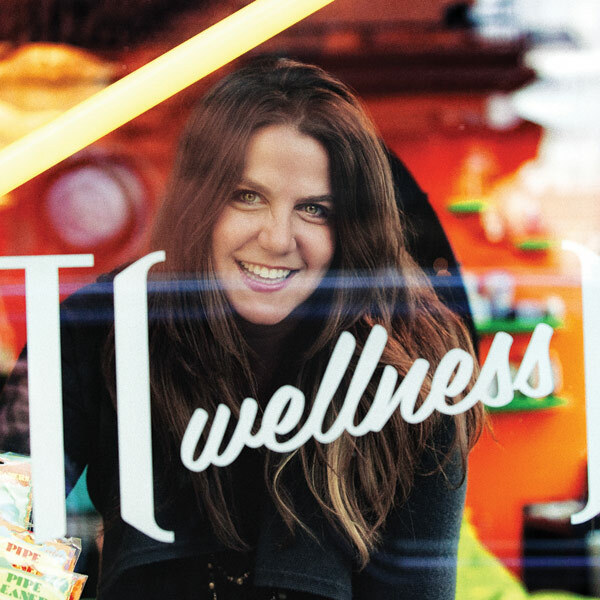 Entrepreneur and master of retail reinvention Rachel Shechtman shares insights from Story, her unique rotating concept store in New York, and offers advice on how retailers can create success stories of their own. Rachel Shechtman often likens her 2,000-square-foot concept shop in Manhattan to a magazine. And like a magazine, Story produces a new “issue” filled with fresh content—in the form of different merchandise and a redesigned setting—every four to eight weeks. Most recently, Story created what Shechtman calls a “collabapalooza” featuring a variety of products adorned with distinctive artwork by Instagram illustrator Donald Robertson. For sale were everything from kiss-print Diet Coke bottles to “hyper-limited edition” Canada Goose jackets. In another innovative recent installment, Shechtman convinced designer/fashion icon Iris Apfel to provide a selection of her own jewelry to be sold at Story during New York Fashion Week. To date, the store has featured products from more than 1,000 brands and attracted some of the business world’s heaviest hitters, from Target to Intel, as sponsors. For them, Story functions as a sort of shopping lab where they can collect anecdotal data on how consumers respond to their products. At the same time, they boost brand awareness among tastemakers and average New Yorkers. Shechtman herself functions as a creative agency for her sponsors, providing services from content creation to marketing and promotion. To make it all happen, the fourth-generation entrepreneur draws from more than 12 years of work as a consultant working with brands including Toms, the Council of Fashion Designers of America, Gilt Groupe, the Gap and Kraft, among others. This month, she sat down with Deckers Brands and Footwear Plus to explain her unique merchandising/marketing approach and how retailers can weave it into their own narratives. What have been some of Story’s most successful installments and why? Each of our concepts at Story is designed to address specific, strategic deliverables for the partners who sponsor the installation. So we measure success differently from concept to concept—and sales are only a part of our equation. For example, our Making Things Story, created in collaboration with General Electric, was a success from an experiential standpoint because we produced more than 100 events in a three-week span and introduced our community to technology like 3D printers and injection molders. But merchandise was less of a priority. Our last concept, with Donald Story with Donald Robertson, was one of my favorites because we were able to create more than 25 original merchandise collaborations using his artwork. Co-branded merchandise was something new for us and it gave us an opportunity to make Donald’s artwork tangible and accessible. Why do you think your magazine formula has been such a hit with shoppers? What are the key ingredients to its success? At the core of our model is the belief that we are the same people offline as we are online. When I launched Story, there wasn’t really anyone who was offering consumers an opportunity to do more than just shop in a brick-and-mortar store. I think that by acknowledging that people are hungry for physical experiences that are as rich and engaging as the experiences that they get online, we have been able to give our community a place to discover, connect and, yes, shop. So the key ingredient is always this idea of creating a community in a physical space and providing people with a reason (or a story) that makes them want to come back again and again because they know we’re always doing something new and different. How might an independent brick-and-mortar shoe retailer apply some of Story’s concepts? I think it’s about really thinking beyond the transaction and realizing that as a brick-and-mortar retailer, you have something that many ecommerce shops don’t have—space. So, what are you doing to squeeze as much value out of your space as possible and to create experiences that your customer can only have with you? It could be as simple as serving coffee on Saturday mornings or having a yoga class for moms in the morning. If you were opening a shoe store today, what’s the first thing you would do? Shoes are something that many people prefer to shop for in brick-and-mortar locations, so I think shoe stores are actually at an advantage. The first thing I would do is look at the opportunities to create and build a community around the experience of buying shoes. Running shoe stores do this really well, offering in-store foot analysis, treadmills and weekly running groups. Next, I would figure out the story that I’m telling beyond shoes. Is it about style, comfort, fashion or fitness? Are there any shoe retailers or formats you admire? If so, why? I think Kith in NYC has carved out an incredible niche with its mix of curation of hard-to-get sneakers and scarcity. They’ve really created a destination for the sneaker fan. I like the way that its new Brooklyn store has taken this a step further through its collaboration with Snarkitecture and the in-store DIY cereal bar. What do you think shoppers crave in a physical shoe shopping experience? I think people want to be entertained when they shop more than ever. They’re looking for physical shopping experiences to capture their attention—and hold it, so it becomes the job of the retailer to find ways to make entertainment a part of the in-store experiences, whether through technology, event programming, photo booths or interactive displays. As a retailer, your job is to give people a reason to come to your store, and merchandise alone isn’t a compelling enough argument. Looking into your crystal ball, what might the U.S. retail landscape look like in 10 years? Will it still include shoe stores as we now know them? I think shoe stores will ultimately move to a model that’s more analogous to a Warby Parker, where it’s as much a showroom for the brand as it is an actual brick-and-mortar retail shop. I think customization and 3D printing technology hold a lot of promise for the footwear industry, and this will definitely impact how shoes are produced, packaged and sold for the consumer. Imagine you can walk into a store and completely customize your shoes onsite—and then leave with your pair. Your bio says you “love finding the next big thing and sharing it with others.” What’s the next big thing? What do you love most about the physical aspect of going shopping? Why might it be a concept that the Internet will never entirely replace? That I’m my own boss!